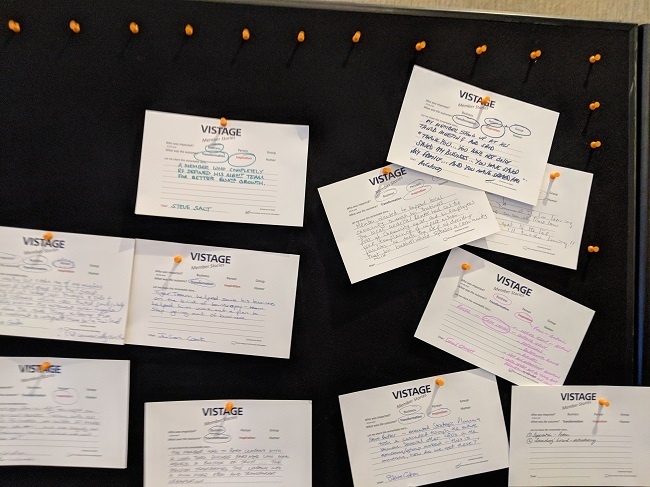 On the 4th and 5th June (2018), the Vistage National Chair Workshop at Hilton Ageas Bowl, Southampton, was an opportunity for our UK chairs to come together, network and share experiences and knowledge - and, of course, to have some fun. A cornerstone of the Vistage ethos, courage is a vital element of strong leadership. By cultivating courage, leaders are able to make difficult decisions and do what’s right, despite their challenges. As these stories illustrate, when we act courageously, we achieve things we never thought were possible. While we tend to think of our personal and professional lives as being separate, the two are inextricably entwined. That’s why personal development and growth are so important in business: when you grow as a person, the positive impact is felt in all aspects of your life. While business growth is undoubtedly an important part of the Vistage process, perhaps the bigger thing is personal growth. The private life of a business leader is indelibly linked to the success of the business. We promote balance, and it was encouraging to see so many great stories of personal growth in amongst the business stories. Encompassing all five principles of the Vistage ethos, great leadership has the power to engage people, boost productivity and promote a positive culture in the workplace. When leaders make difficult, strategic or inspirational decisions, the effects can be awe-inspiring. These powerful stories are just a small selection of the many moving and inspiring stories that Vistage members experience and facilitate every day. By sharing them, Vistage chairs and members can see and hear the true value of working together as a collective: real, life-altering change.